After stupidly forgetting to pack any nail varnish when I visited my family in Norfolk for Christmas, I ran to the local Boots in search of a quick fix for the time I was spending there. Little did I know that the colour I would pick in a rush, without any more than a quick glance, would turn out to be so beautiful! Subsequently, No7's Stay Perfect Nail Colour in Damson Dream has been my polish of choice for the last couple of weeks and I've really been loving it! This is actually my first venture into the No7 nail varnish world, but I will definitely be paying another visit soon. Within the Stay Perfect range, there's a plethora of shades, ranging from classic nudes, reds and darker colours, to more adventurous brights. So, you will definitely find a shade to suit your tastes and the time of year, that's for sure. I have heard though, that not all of the colours have the same level of formula quality, but until I try a few more out, I can't fault it too much with this one. 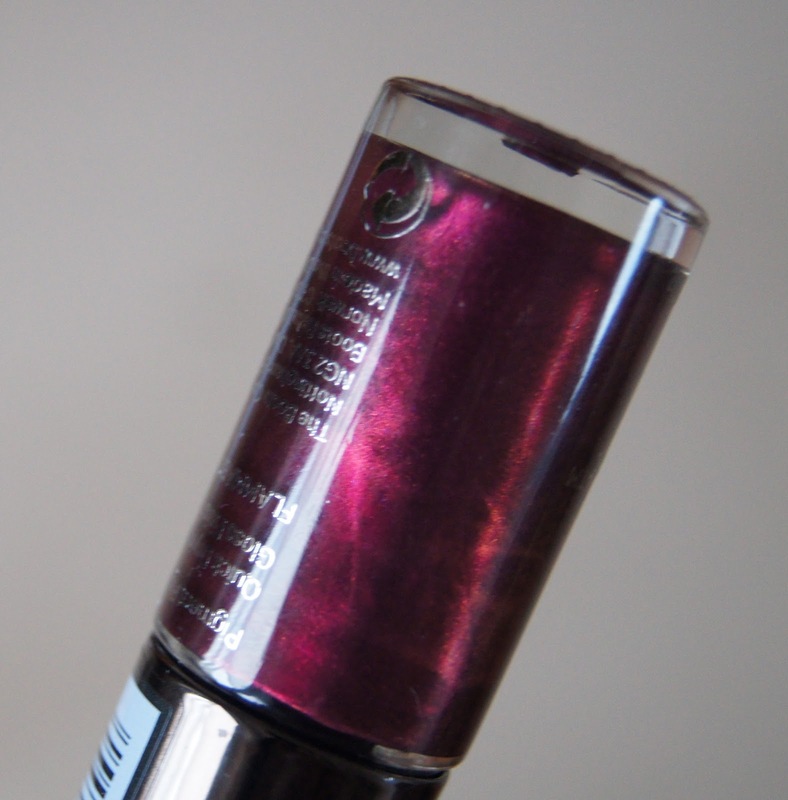 Damson Dream is a deep, mulberry purple with a gorgeous red shimmer running through it. In certain lights, there is a slight orange tone to it, giving it a sort of duo-chrome effect, but not full on. 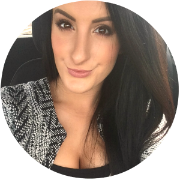 Rather than stick to the usual red hues that you see around this time of year, I've been wearing this colour instead and have had a tonne of compliments on it! With just one coat, you get vivid colour and great coverage, with two coats leaving your nails looking perfected with a slick sheen to them. To lock that in, a top coat is advised, but when I haven't had the time to pop one on before, my nails have remained shiny for a good few days before dulling down. The formula is so smooth and applies like a dream. The brush is nice and wide, which I love, meaning application is much quicker and easier. The nails are covered quickly and the polish dries fast, so you don't get that annoying dragging problem, that often breaks my heart, when I've spent a good twenty minutes giving myself a manicure, only to be ruined right at the last hurdle! I had no issues when removing this varnish, either, but I would wear a base coat anyway, especially with such a strong colour choice. The wear time however, isn't as great, with the tip of my nails wearing off after a day or so, which is a shame. Also, be careful not to apply too many coats, as two is sufficient and any more mean that some of the gorgeous sheen gets lost, as the colour gets deeper. Considering they're a drugstore product, £6 is a little high. But, Boots always have offers on, giving out '£5 off No7' vouchers here, there and everywhere. So, if you wait until you have some, these polishes can be an absolute steal at just £1! I also love the sleek bottle design, with the metal lid; they would look great on any dressing table. 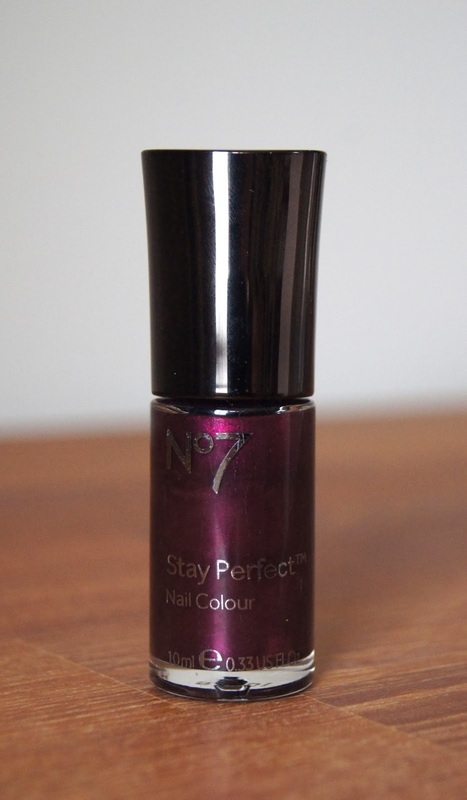 Have you tried any of the No7 nail colours?